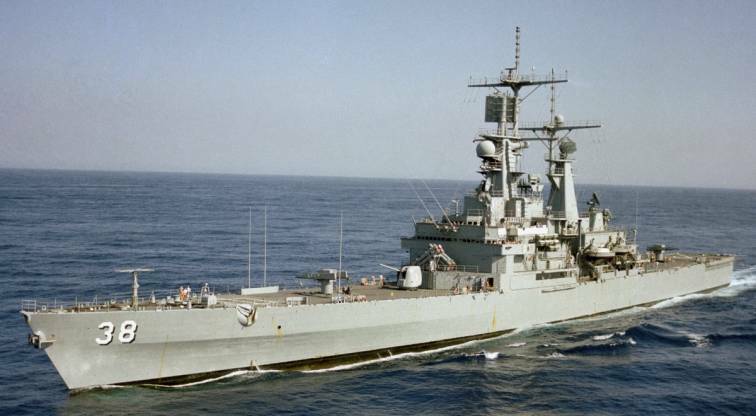 As part of an Indian Ocean deployment in 1980, she crossed the Indian Ocean to the Republic of the Philippines, for emergency Sonar dome repairs. 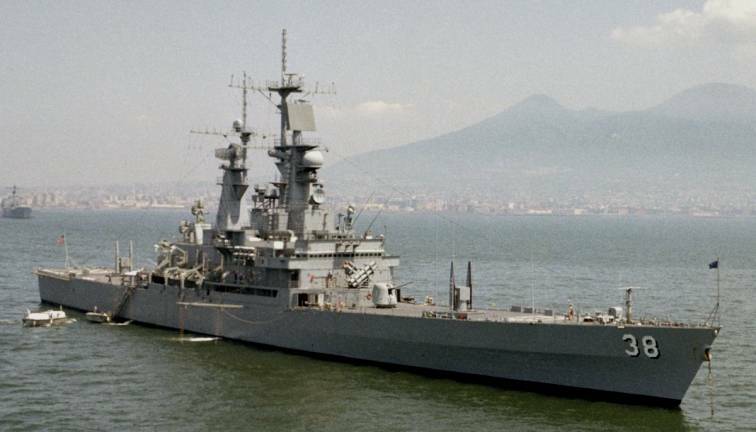 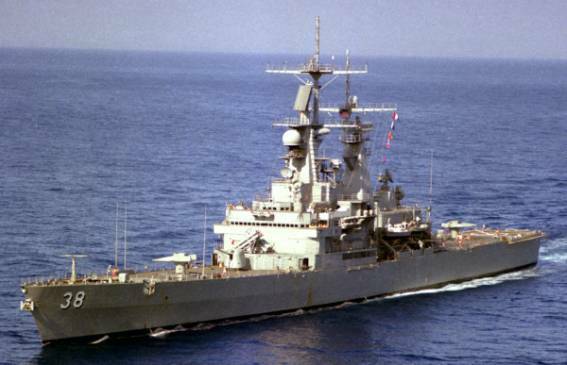 During her third Mediterranean deployment in 1983, she patrolled off Beirut and fired nearly 300 five inch rounds into Lebanon, many in defense of the strategic mountain town of Suk El Gharb. 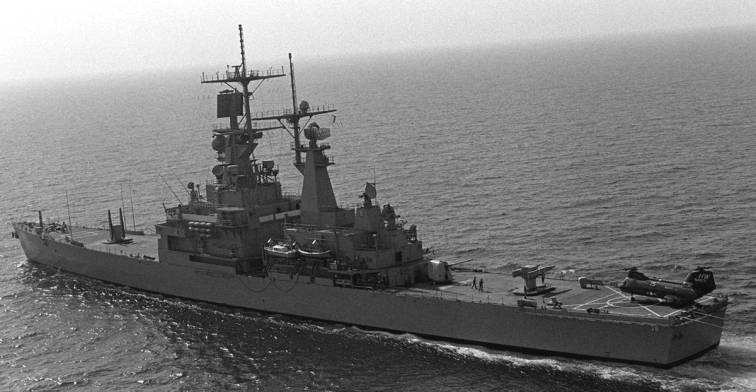 Virginia provided emergency assistance after the Beirut Marine barracks bombing. 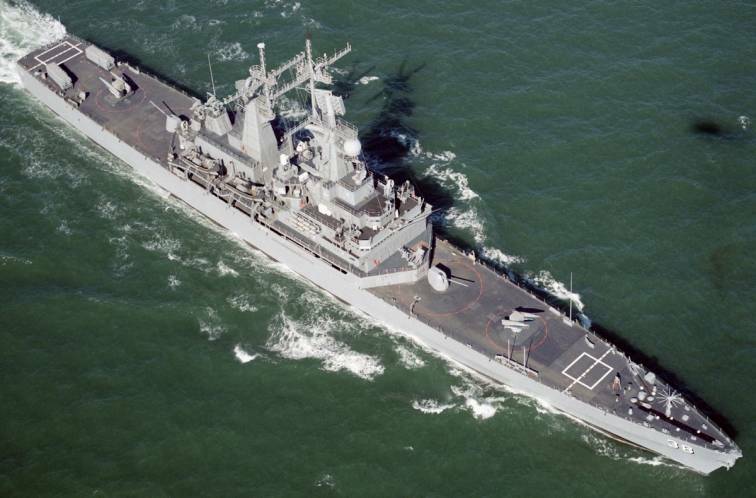 She was honored as Sixth Fleet Top Hand for that extended deployment. 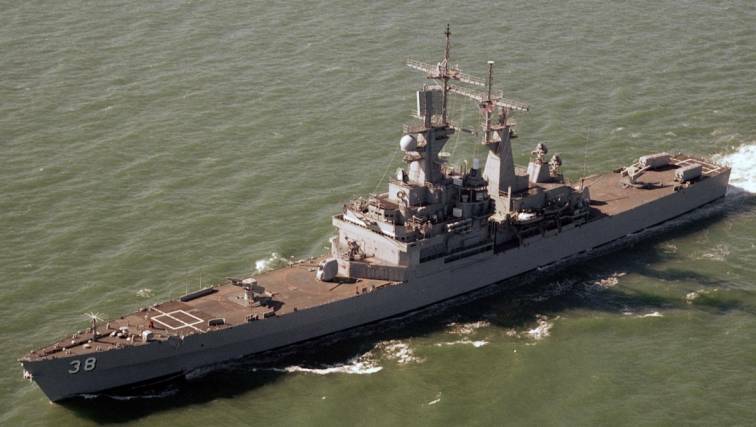 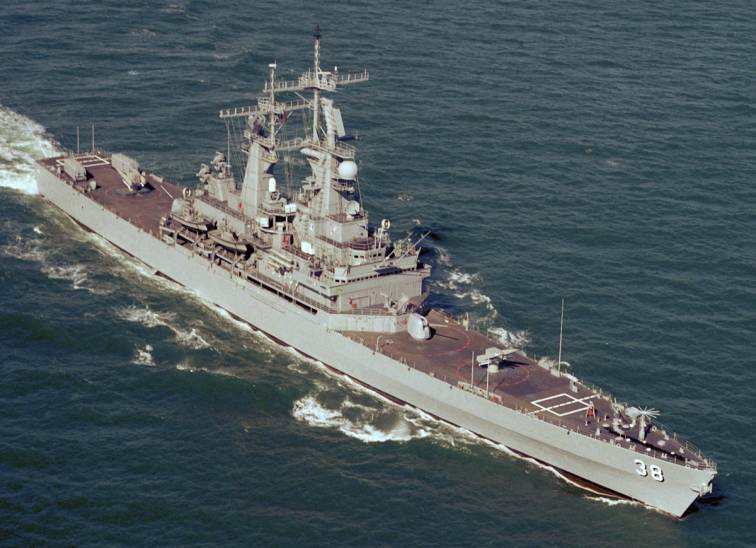 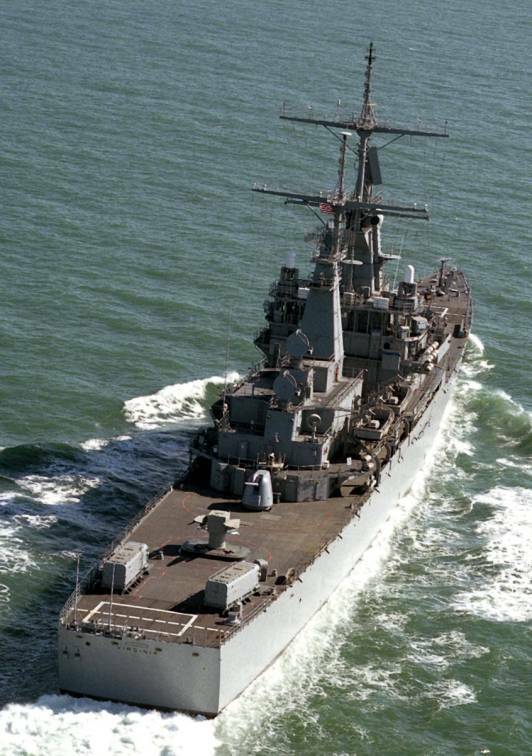 In 1984, she entered Norfolk Naval Shipyard for her single major overhaul and was converted to the Navy's first strike cruiser with the addition of the Phalanx CIWS, Tomahawk missile and the SM-2 extension of her surface to air capability. 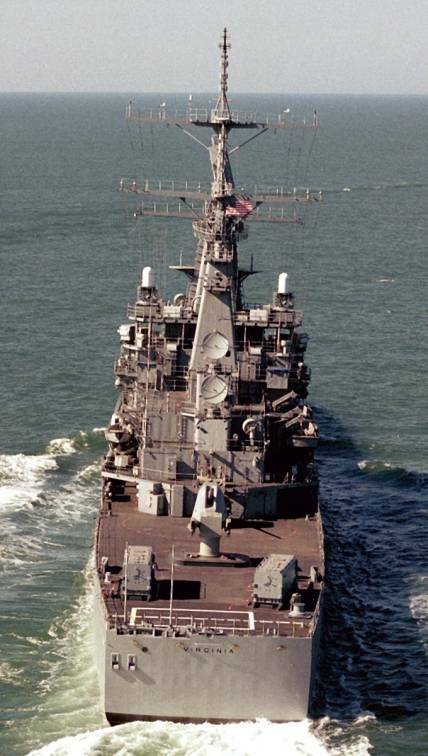 During this overhaul, the aft helicopter hangar and elevator were removed and the space refitted with 2 Armored Box Tomahawk cruise missile launchers (4 missiles each) on deck and an Engineering Department training space below. 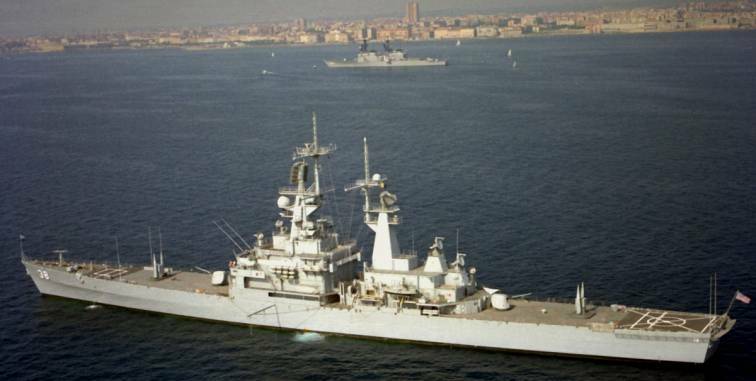 In December 1990, Virginia deployed to the Mediterranean in support of Operations Desert Shield and Desert Storm. 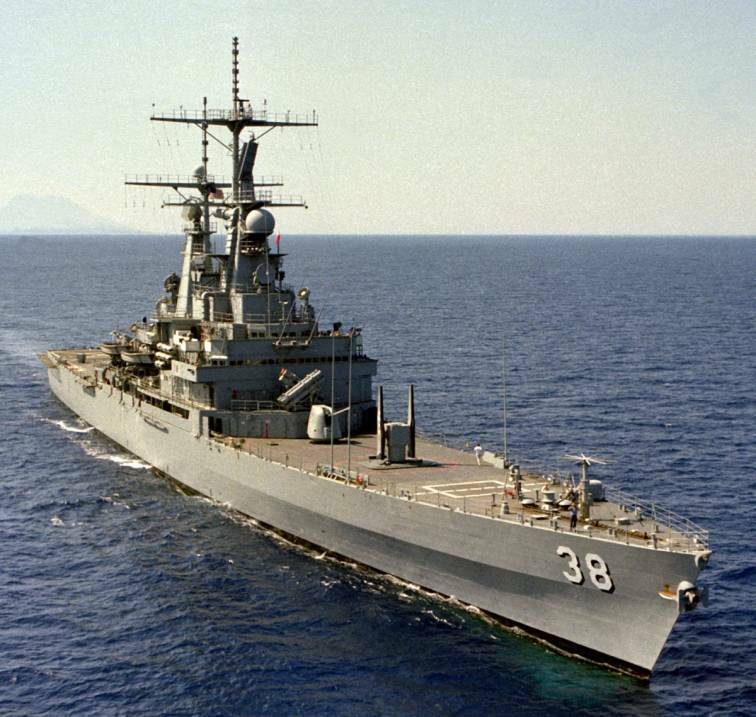 Most of the six-month deployment was spent in the Eastern Mediterranean Sea, off the coast of Israel, Lebanon, and Syria. 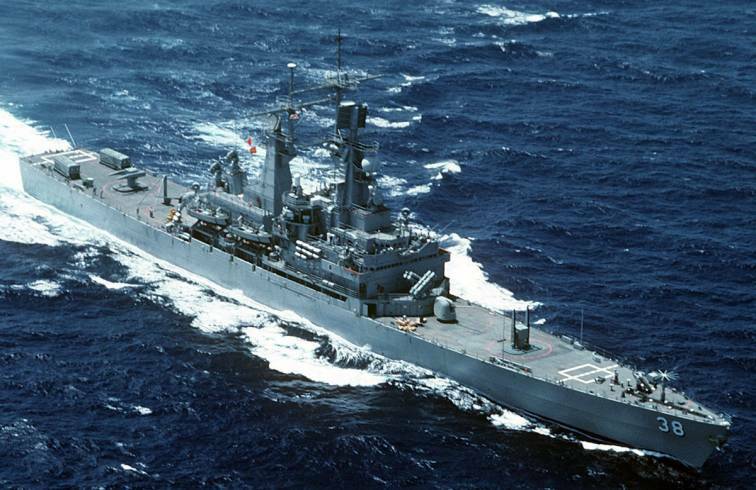 There she commanded a strike group of 4 vessels including a destroyer and 2 SSNs. 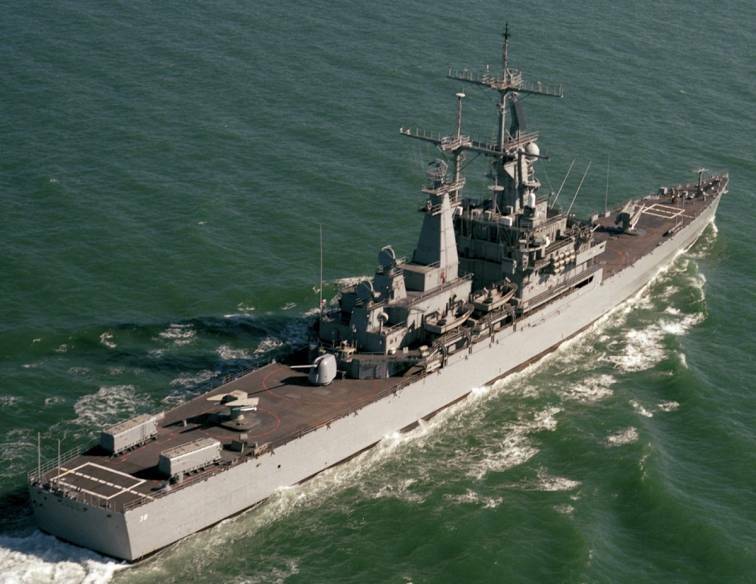 In January 1991, she fired two Tomahawk cruise missiles from the Mediterranean to Iraq, which was at the time the longest combat firing of a Tomahawk. 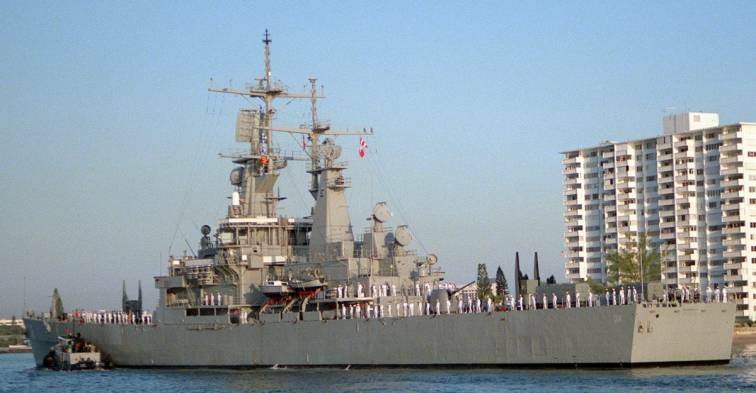 She also directed the launching of four other Tomahawks from the two submarines in the task group. 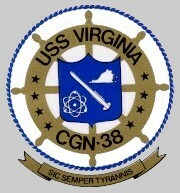 She was decommissioned and stricken from the Naval Vessel Register on 29 November 1994, Virginia entered the Navy's Nuclear-Powered Surface Ship and Submarine Recycling Program on 31 March 1999. 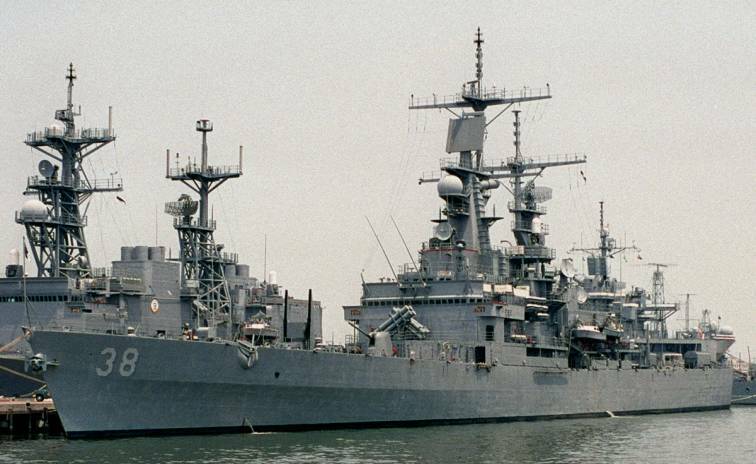 Her missile launchers are now on display at the Norfolk Naval Shipyard, Portsmouth, Virginia.